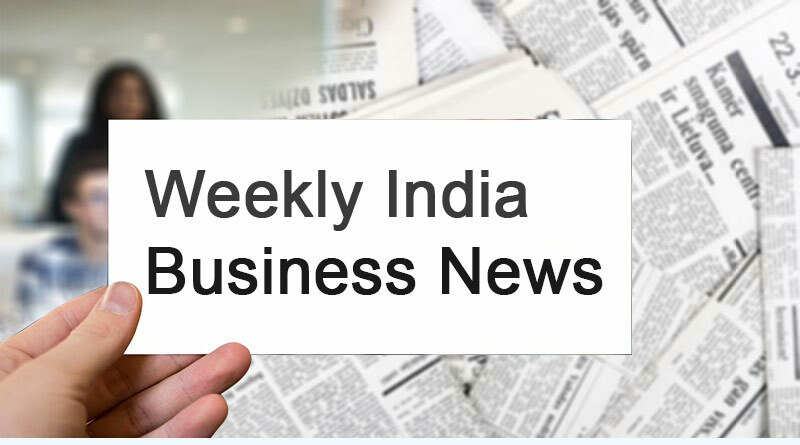 Read Weekly India Business News from 9th to 13th July 2018. – Renaissance is launching a ₹1,000-crore India Next Fund and is looking to invest in sectors like engineering, financial and capital goods. – The audited results of Fortis for fy 2017-2018 revealed that Fortis has used its own funds to repay itself. The main problem was the inter-corporate deposit given by its subsidiary Fortis Hospitals with the outstanding amount of ₹ 445 crores which found its way to companies controlled by the promoters. – 3 PE firms, Advent International, Carlyle Group and China’s Fosun International are in talks separately with Glenmark to pick up its active pharmaceutical ingredient business. The deal is expected to be valued around ₹1,500 crore. – Bank of Baroda will sell its domestic loan exposure in Essar Steel Ltd worth ₹ 1,200 crores to SC Lowy. SC Lowy is in talks with local ARCs to structure the deal as Foreign Funds are not allowed to directly acquire the domestic assets. – UPL Ltd is close to buying the farm pesticides business firm Arysta LifeScience for over $4 billion, which shall enhance ‘its solutions to fit local farming needs’ and bring in synergies that will be beneficial to its operations in overseas markets. – As per the data released by Paytm, it has achieved an annual run rate of 5 bn transactions of about $50 billion. Smaller towns constitute 50% of its user base now. – IndiaLends, the Delhi based fin-tech company, has raised $10 million in a series-B round of funding. It has so far raised $16 million. The firm competes with companies like PaisaBazaar. – Samsung has opened a mobile phone factory in Noida at a cost of ₹ 4,500 crores which can produce 12 crore smartphones every year and will generate 15,000 local jobs. It is said to be the world’s largest mobile phone factory. – $216 million worth of Vedanta shares, owned by Cairn, have been sold by the Income Tax Department to recover part of Rs 10,247 crore tax demand, says Cairn Energy. – Godrej and Boyce Manufacturing has filed a plea in the Bombay High court against National High-Speed Rail Corporation (NHSRCL) and the state and Union governments to ensure that an alternative route is chosen for the bullet train project. The hearing date is fixed at July 31. One of the entry points to the underground tunnel of the project falls on one of firm’s prime property in Vikhroli, a central suburb of Mumbai. – The Government announced that it shall encourage and finance infra projects in the smart cities concentrating on public open spaces, social innovation in low-income settlements, sustainable mobility and urban governance & ICT sectors. The projects will receive an additional funding of approximately ₹80 crore each. – Groww has raised $1.6 million in a pre-series from Insignia Venture Partners and plans to use the funds to strengthen its technology and launch more financial products and services. – The Government has given a conditional approval to the idea Vodafone merger, provided they pay the arrears amounting to ₹ 7,250 crores to the Government. The CEO of Vodafone Group Plc, Vittorio Colao, said that he is being optimistic and hoping that the Vodafone-idea merger will be completed by October. – Punjab National Bank and Carlyle Group are in the process of selling around 51% stake in PNB Housing Finance, which will fetch them a little over ₹6,500 crore going by PNB Housing’s market capitalization of ₹19,957 crore. – Flipkart wants to compete with Google in online space ads and plans to double its annualized sales from digital advertising to roughly $200 million by March and generate sales of $16-17 million. – Shop101, an online marketplace, has raised $5 million in series A funding led by Stellaris Venture Partners. Shop101 enables entrepreneurs to sell online using Whatsapp, Facebook and Instagram. – WhatsApp has rolled out a new feature that would clearly mark forwarded messages. The move is aimed at curbing the spread of rumors on its platform. – The income tax department has sent notices to Arjun Nav Nirman and VRV Investment after a probe showed they were acting as fronts for Asaram Bapu’s ashram. The two firms own at least 49 properties, spread across India. – PE investments in India declined 29% in terms of deal value in the period Jan-Jun 2018. The period saw a 50% drop in deals valued under $10 million. – Essar Steel creditors are seeking 40 days exemption in computation of the resolution process and have requested a quick debt resolution as lenders are incurring losses of around ₹17 crore daily due to pending litigation. – US will hold talks with India and other countries at WTO on July 20 over the unilateral increase in steel and aluminium tariffs that has set off a global trade war. India had dragged US to WTO over 25% steel and 10% aluminium tariff imposed on grounds of national security. – According to updated World Bank figures for 2017, India has become world’s sixth-biggest economy, pushing France into seventh place. India’s GDP amounted to $2.597 trillion at the end of last year as against $2.582 trillion for France. – DUSA Pharmaceuticals, a unit of Sun Pharmaceutical, has filed a claim against Biofrontera Inc. in the district court of Massachusetts for trade secret misappropriation and tortious interference, patent violation. – National Highways Authority of India will begin to invite bids for the second package of TOT auction within this week and is likely to set the base price at $1 billion (₹6,800 crore). The second bundle auction features seven stretches of operational toll roads across Rajasthan, Gujarat, Tamil Nadu and Telangana. – Nspira Management Services, an education services provider, has raised $75 million in a funding round led by Morgan Stanley Private Equity Asia and Banyan Tree Growth Capital II. Nspira designs and curates curriculum and examination content for around 500 educational institutions. – As per a Security report released by IBM, the average cost of data breach in India saw a 7.9% rise to ₹11.9 crore in 2017-18. Malicious or criminal attacks are said to be the root cause for 42% of data breaches, followed by glitches in the system at 30% and human error at 28%. – As per CBRE’s Global Prime Office Occupancy Costs report, Connaught Place of Delhi continues to be among the 10 most expensive office markets in the world. Mumbai’s Bandra Kurla Complex is at the 26th spot slipping by 10 places. – Paytm has launched forex services offering both forex card and cash. The Paytm forex card and forex cash can be ordered on a real-time basis and will be delivered at the doorstep within 48 hours. – Adani Group and GAIL are among the 400 bidders for city gas licenses that Indian government offered in its latest auction. – NCLT dismissed all the allegations against Ratan Tata and Tata Sons filed by Cyrus Mistry, saying that it did not find merit in any of the issues raised. – Temasek has invested $1.5 billion in India in the first three months of the latest financial year and is expected to increase its exposure. Firm’s India portfolio stands at around $10 billion, with an average yearly investment of $1 billion in the last five years. – Fortis Healthcare has accepted investment offer from IHH Healthcare. IHH will invest Rs 4,000 crore in the company that operates about 30 private hospitals in India. – The official liquidator for Sahara Group’s Aamby Valley has told Supreme Court that auction process had failed as the advertisement calling bids for the property received no response. – AION Capital-JSW Steel consortium has agreed to pay small operational creditors of Monnet Ispat after NCLT observed that there is nothing for small vendors in the resolution plan. It has agreed to set aside around ₹25 crore for MSME vendors. – GE Grid Solutions has commissioned the first leg of mega grid stabilization system of Power Grid Corporation. Once completed, it will be world’s largest Wide Area Monitoring System entailing monitoring and controlling of electricity supply across India. – Airtel has removed its Fair Usage Policy in Hyderabad and offered its broadband customers usage of unlimited data. – ONGC has pushed back the KG gas production date to 2019 and is targeting a peak oil output of 77,305 barrels per day within two years of the start of production. – RBI is likely to extend the deadline for filing of a single master form, that seeks to consolidate all foreign investments received by an Indian firm due to technical issues in the website. The deadline for this was the 12th July. – Amazon Prime Day sale would offer smartphone deliveries within 2 hours. Amazon exclusive smartphones, including OnePlus 6, MotoG and RealMe, will be sold at steep discounts during Amazon Prime Day on 16-17 July. – To get an increased sale of electric vehicles, the Government is considering a proposal to impose a marginally higher tax on conventional petrol and diesel cars to incentivize electric vehicle buyers through cross-subsidies. – Internet access in India will remain free and fair with the government accepting telecom regulator’s recommendations to introduce one of the strongest net neutrality protections in the world. Licence agreements with service providers will be immediately amended. Net neutrality requires service providers to treat all internet traffic equally and do not discriminate in the treatment of content, including practices such as slowing down, degrading, or granting preferential speeds. – The government has sharply increased the monetary threshold for filing appeals in tax disputes in various courts. It has also decided to withdraw many pending appeals to cut down litigation as also improve ease of doing business. The monetary threshold for filing appeals in tribunals has been raised from Rs10 lakh to Rs20 lakh, for cases in high courts its now Rs50 lakh instead of Rs20 lakh and for cases in Supreme Court, it has been increased from Rs25 lakh to Rs 1 crore. – Reliance Communication has alleged discrimination by DoT, which has demanded bank guarantee from them against the disputed one-time spectrum charges but approved Vodafone-Idea Cellular merger without making such a demand. – Piyush Goyal, Finance Minister, said that the new higher threshold for filing appeals in tax disputes will eliminate a lot of pending tax disputes (approx. Rs.5,600 Crores), which only clogs the judicial system but accounts for a very small part of tax dues. – As a big relief to Bharti Airtel, it has received approval from the RBI and UIDAI to resume enrolment of customers for its payments bank. The penalty was imposed after RBI found that Airtel is opening accounts without any specific/clear consent from customers. – IHH Healthcare is likely to acquire control of Fortis Healthcare. It has given a binding offer to buy 51% stake in Fortis Healthcare outbidding TPG- Manipal. The deal value will be around ₹ 4,700-5,400 crore. – Shriram Transport Finance Company and Shriram City Union Finance are in the early stage of a merger plan, which is aimed at the listing of the holding company, Shriram Capital. – DoT has demanded Rs 3,900 crore in cash and Rs 3,300 crore in bank guarantees to clear the Vodafone India and Idea Cellular merger. – LIC employee union has said that they are not in favor of the acquisition of a 51% stake in IDBI Bank and are being forced to participate in the bank recapitalization programme with IDBI Bank acquisition. – Bharti Airtel is in talks with bankers as it plans to raise ₹6,900 crore through overseas loans to refinance its high-cost debt to expand its 4G network to take on Reliance Jio Infocomm and the Vodafone-Idea Cellular combine. – Cipla’s subsidiary has signed an agreement to acquire Mirren of South Africa for Rs 228 crore which will help to strengthen its market position and accelerate its growth within OTC space. – Lightspeed India Partners Advisors have raised a fund of $175 million to invest in startups in consumer internet, software and other businesses. It will invest in 25-30 startups in their early stages and may also strike a few deals at the Series B and C stages. The fund had earlier invested in companies like Sharechat, Udaan, etc. – After agreeing to buy a 77% stake in Flipkart for $16 billion, Walmart is now looking for acqui-hires and niche tech-product start-ups in India. – Tata Motors Ltd bought a 26% stake in a Bengaluru-based freight start-up called TruckEasy for an undisclosed amount. – Ratan Tata and Tata Sons filed a caveat petition in the Bombay high court to get a chance to be heard after anticipating a litigation by Cyrus Mistry. However, the suit was dismissed by NCLT as it didn’t find merit in allegations of mismanagement at the conglomerate, marking a reversal for the holding company’s ousted chairman. – Liberty House has approached NCLAT seeking information on the bid finalization process of Bhushan Steel. Liberty House has alleged that lenders are not sharing any information or documents related to their meeting on Monday. – The lawyer of ArcelorMittal India Ltd, Abhishek Manu Singhvi said that the company was eligible to submit a bid for Essar Steel on the date of application, as it was not associated with Uttam Galva Steels Ltd at that time. – Binani update- NCLAT deferred the hearing of Binani Cement insolvency case till 20 July. – NCLAT rejected the appeal of Liberty House to temporarily halt the bankruptcy resolution process of Bhushan Power and Steel Ltd.
– As part of a board-instituted probe into alleged wrongdoings by Bank’s top executives, ICICI Bank is preparing to submit details of around 1,000 loan accounts that turned sour since April 2010. The panel is headed by B.N. Srikrishna, former Supreme Court judge. 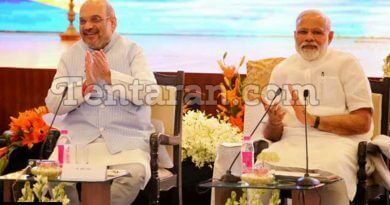 – Nirav Modi case – ED has sought a special court’s permission to seize and sell assets of Nirav Modi and Mehul Choksi in India, UK and UAE under Fugitive Economic Offenders Ordinance.